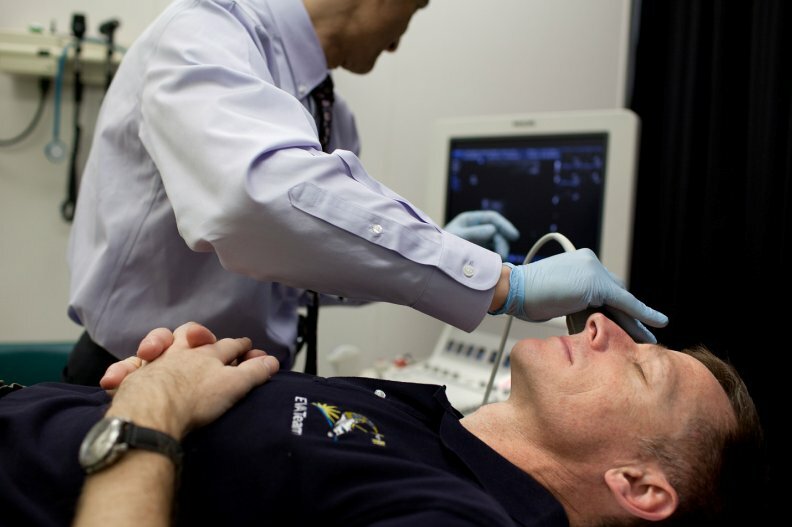 Magnetic Resonance Imaging revealed pronounced changes in astronauts’eyes and pituitary gland/brain connectors (Credits: NASA). A magnetic resonance imaging (MRI) study of a group of astronauts revealed changes in the eyes and pituitary gland-brain connectors similar to a particular type of intracranial hypertension. Authors of the study published in the journal Radiology worked with 27 long duration astronauts who spent on average 108 days in microgravity either on the Space Shuttle or in the ISS. Expansion of the cerebral spinal fluid space around the optic nerve occurred in nine astronauts, flattening of the rear of the eyeball was reported in six cases and four astronauts suffered from bulging of the optic nerve. Changes in the connection between the brain and pituitary gland occurred in three cases. Even though none of the examined astronauts lost his flight status due to the medical results, the named conditions are considered a potential risk factor in long duration flight. “The MRI findings revealed various combinations of abnormalities following both short- and long-term cumulative exposure to microgravity also seen with idiopathic intracranial hypertension,” says Dr. Larry A. Kramer, professor of diagnostic and interventional imaging at the University of Texas Medical School at Houston. 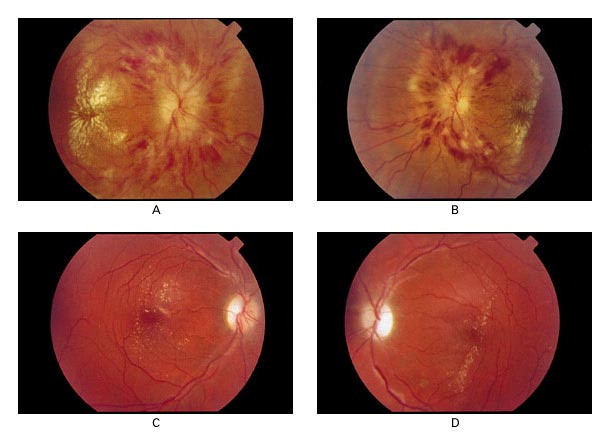 Eye disc swelling that can occur as a result of long duration space flight might lead to severe vision deterioration (Credits: The New England Journal of Medicine). Earlier studies described deterioration of vision in about 60 % of astronauts participating in long-duration flights. In two cases optic disc edema was reported. This condition can lead to significant vision loss during the flight. Flight surgeons at NASA’s Johnson Space Center are currently focusing on the vision related space flight problems in great detail. “NASA has placed this problem high on its list of human risks, has initiated a comprehensive program to study its mechanisms and implications, and will continue to closely monitor the situation,” says Dr. William Tarver, chief of the flight medicine clinic at JSC. Identifying medical problems related to long duration space flight is one of NASA’s objectives on the ISS. Mitigating those complications would be crucial for any future manned deep space mission.